Cask strength swiftly becomes all the rage as whisky geekery consumes a person. It’s often easy to forget that with lower strengths come such wonders as elegance, drinkability and – lest we forget – pleasure. 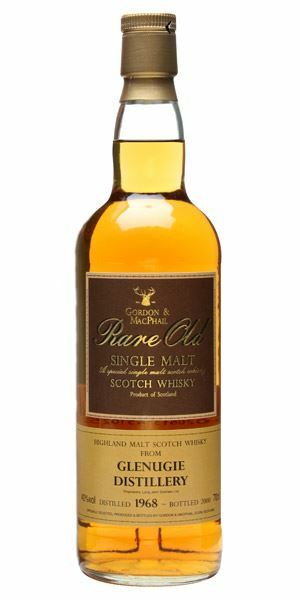 However, as Angus MacRaild discovers this week with two Gordon & MacPhail Rare Old bottlings, low abvs can also be a frustration when you can sense just how brilliant the whisky might have been, had it been even a few degrees higher. 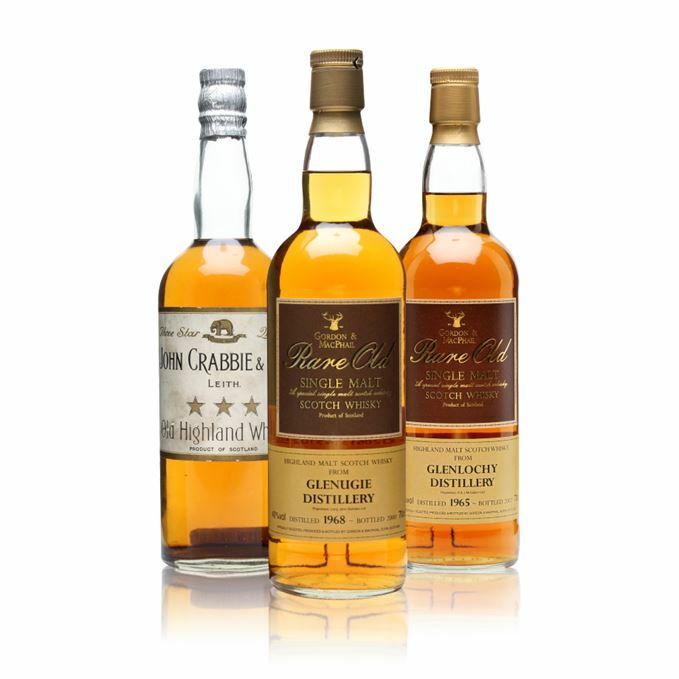 For this session he tastes three relatively delicate, but also complex examples, including an old Crabbie’s blend from the 1940s and a pair of aged examples from closed distilleries: Glenugie from Peterhead, and Glenlochy from Fort William. Both distilleries were lost during the closures of 1983, and represent an older, generally fuller, fruitier and waxier style of whisky. 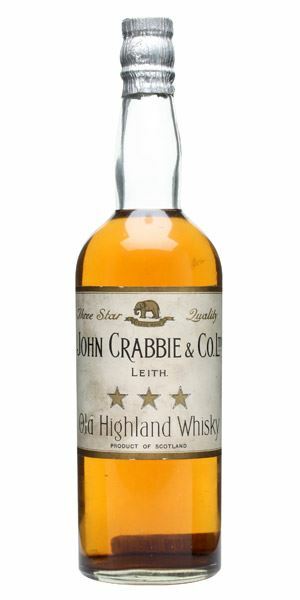 Similarly, old blends with a high malt content, such as Crabbie’s Three Star, can often give the impression that, over the years in bottle, the malt comes to dominate the grain component and you are left with a broader impression of the malt flavours. Whether there’s any scientific basis for this remains uncertain but, as we’ll see, many of these old blends from the 1940s and earlier can be pretty special. A brazen, almost Clynelish-esque waxiness. Motor oil, boiler sheds, horse stables, some green fruits and overripe banana; then lanolin, minerals, hessian and lamp oil. This is pure, old-school Highlands in a nutshell. Gets drier and sootier with time. Some glimmers of pollen and white flowers with a lick of wood spice. The wax is still extremely present, but it’s tapered by Vicks Vaporub, pine resin, various ointments, camphor and beeswax. Hugely oily and sappy, but not in a particularly extractive way. The tannins are soft on the gums and there are still notes of candied citrus peel and various dark fruit compôtes, which give the whole thing life and lift. A generous spoonful of quince paste and more of these nervous, resinous qualities. A mineral and wax ballet. Taught, spicy and thrilling, leaving the sensation of a still warm coal hearth. While Glenugie has something of a cult about it, Glenlochy never really gained the same sort of adoration despite, in my opinion, many excellent bottlings that show it to be among the finest examples of this very pure, waxy and minerally old Highland style of malt. This one is rather magnificent. Fruits! All over the place. In no particular order we have guava, melon, pineapple, lychee, gooseberry, mango and starfruit. All superbly fresh and pin-sharp. So typically and emphatically Glenugie. There’s also a wee hint of banana skin, some coastal and mineral inflections, a dollop of runny honey and a little ripe pear flesh. A dab of posh olive oil as well. The fruits are more nervous now and there is a warming and spice-infused waxiness pervading the whole. More green fruits and assorted fruit syrups, some tiny medical tinctures, a background coastal aspect and then a chewy cereal note. Shreddies doused in honey. Maybe a tad short, but still rather beautifully laden with green and tropical fruits, with these slightly mustardy tones coming through. I adore Glenugie and this is a pretty emblematic example of that exuberant and exotic style the distillery seems to have mastered in the 1960s. I just wish that G&M had bottled these casks at a slightly higher abv. Thankfully they tend to do so nowadays with these sorts of stocks, but still... Goddammit! Watching Lawrence of Arabia on a rainy Sunday afternoon (although you’ll need a full bottle). A fairly deep and sustained waxiness, with pretty typical, good old blend notes of soot, metal polish, steel wool and old toolboxes. Interlocking aromas of hessian, camphor and damp sack cloth run through it all like a thread. A lick of polished Granny Smith apple peel suggests a malt-trodden grain component somewhere in the depths. Some evolving notes of wet earth, pumpernickel bread, cow sheds and a rather delicate, dry phenolic edge. 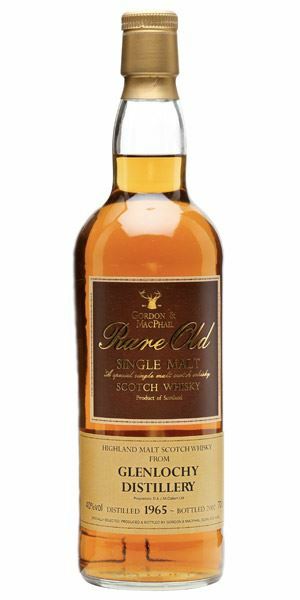 Reminiscent of these rather herbal, old-style peated malts that offered a deeper, more bass-like peat character. Perhaps some mineral oil and an old inkwell to boot. Impressively fat and thick on delivery for such an old blend. Cedar wood, rather a lot of tobacco notes – cherry pipe tobacco and unlit cigars. A grave minerality and a rather emphatic oiliness. More herbal, subtle peat with a hint of some very old medicine as well. Increasingly sooty, greasy and flabby, in a good, textural way. Faded mint leaf, cough syrup and a few drops of natural tar liqueur. There is an initial dip, but the raw phenolics and farmy/industrial aspects linger pretty well on the tongue. Impressive. I’ve tasted a few old Crabbie’s blends and they have been thus far uniformly excellent. This one only seems to confirm that they knew what they were doing and didn’t mess about when it came to selecting decent stocks to work with. The kind of bottle that could be picked up for buttons at auction not so long ago. A bench on Leith Links in the last of the winter sunlight. Rare Batch 31 30/01/2018 Head back in time with a 1960s Glenugie, 1950s Balblair and a rare 1930s Glamis single malt. Rare Batch 29 05/12/2017 An early Aberlour bottled for the Italian market, plus ‘ghost’ malts from Brora and Lochside.